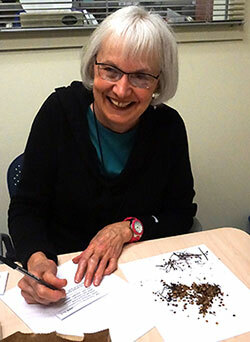 Dedicated and passionate volunteers are the life force that sustain our Seed Library. Hard working individuals make this resource available to our community, and we are grateful to all of you who lend a hand. Volunteers are responsible for cleaning, sorting, labeling, and packaging seeds for the collection. Other volunteer responsibilities include restocking, organizing, and recording the number of seeds that pass through the Seed Library into the community. To find out how to volunteer, please visit the nols.org volunteer page under ‘About NOLS’ or click here.